Everyone wins when we can help navigate the parents of our nation’s fastest-growing student population. Since the Feria Para Aprender debuted in Austin in 2007, parental involvement for the school district of this Texas capital has reached record levels and the educational infrastructure in the area has been dramatically improved. Each Feria event is evaluated by a team of independent researchers that track a number of variables, from demographics and motivations to parental engagement at the event. They produce open-source research reports for participating non-profits and partners. 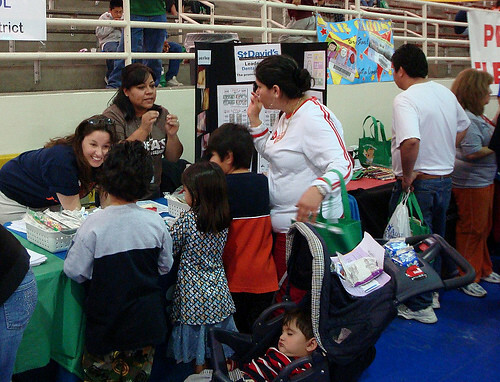 Parental engagement and learning at Feria events in 2009 and 2010 measured from low to high 90 percentile ranges. Parents overwhelmingly said they learned about educational opportunities at the Feria they did not know about before. After the Feria, parents almost unanimously said they plan to be even more involved in their children’s education. The Feria’s success shows that leaders do have control: a common framework of metrics drives a collaborative approach.